Few people have ever heard anything about her. She is not a famous personality. However, her history deserves to be known for she played an outstanding role in saving Jews and other people during the Nazi occupation of the Netherlands at the time of the Second World War. 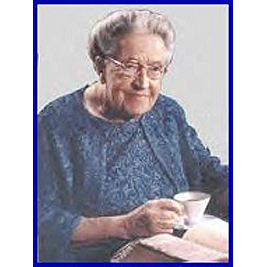 Corrie ten Boom was born in 1892 into a deeply Christian family, whose acts of generosity and social commitment bad been recognized since a long time. Their house was always open to any needy person. Corrie’s grandfather, Willem, bad established a watchmaker’s shop in 1837 at 19, Barteljorisstraat, Haarlem, Holland, the city where she was born. The shop was located on the ground floor, while the family dwelt on the upper premises. 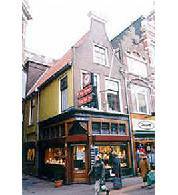 Later on the shop was inherited by Casper, Willem’s son, and finally it was Corrie’s turn to inherit it, and thus she became the rust Dutch female watchmaker. But she did not only become a pioneer craftswoman. It is possible that she was the first woman to head a resistance movement against the Nazis in her country. When she was 48 years of age, on seeing what was happening in Holland under the national-socialist regime -especially the unrelenting persecution of Jews- she decided that she had to do something about it. She then devised a way to assist them, an idea that met at once with her father’s and brother’s approval. In this manner she could ”resist” the Nazis, but in ”her” particular way, without violence, fully in agreement with her Christian principles and belief. She conceived the idea that the family’s house be used as a refuge. Some six or seven persons could be hidden there. When her idea was put into practice, four of the refugees were Jews while the rest were Dutch resistance fighters. On some occasions they stayed there for a few hours only, using it as a waiting place in transit to other safe-havens; on other occasions they remained for months until they could leave for other places. But once the idea was put into operation the flow of persecuted persons became permanent. 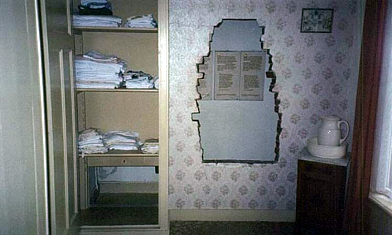 A hiding place measuring 2.5 m long by 0.70 m wide was built in Corrie’s own bedroom, on the second floor of the building. The entrance was hidden behind a wardrobe and the available space could make room for a maximum of six persons simultaneously, all of whom had to remain in a standing position without making any movement. Each time an alarm was heard (a small bell located close to the staircase), the refugees had little over a minute to hide in that place, taking along their belongings. They stayed there until the danger was over, in absolute silence and completely motionless. The watchmaker’s shop was an ideal ”screen” for these activities, since the fact that people entered and left the premises frequently did not raise suspicions. In this way, little by little, Corrie found herself heading a network formed by some eighty persons, the ”Beje” Group (”Beje” the business name of the shop), who devoted themselves to seek refuges in houses of other courageous Dutchmen who could grant asylum in the way she herself did. Most of her time she was busy taking care of the refugees, once she could find a place where to lodge them. It is estimated that in this way she saved the lives of about 800 Jews, as well as numerous members of the Dutch resistance and students who were persecuted for refusing to cooperate with the Nazis. But something suddenly happened and the activities had to be halted. One day a man entered the shop of the ten Boom family and told Corrie that he and his wife were Jewish and that they needed money to bribe a policeman. She replied that she could obtain it. This was the man who on February 28, 1944, denounced them to the Gestapo (the secret Nazi police ). Their agents waited all day long while keeping the watchmaker’s shop under surveillance, and then detained every and all of the persons who attempted to enter the premises. Towards sunset they had arrested around thirty prisoners. They then raided the house, where they arrested Corrie, her father Casper, her brothers and sisters Willem, Nollie and Betsie and her nephew Peter, who were lodged at the Scheveningen jail. Although the Gestapo suspected that there were persons hiding somewhere and therefore carefully checked the whole building, they could not find the refuge where four Jews (two men and two women) and two resistance fighters were hiding at the time. Although the house continued to be under survei1Iance, all of them could be rescued by other members of Corrie’s network. During the 47 hours they spent hidden until they were freed, they managed to stay motionless and silent, practically with no food or water. The four Jews were taken to another refuge and three of them survived the war. As to the two members of the resistance, one of them passed away some time afterwards, while the other one managed to survive. While under detention, when Casper was informed that he could be condemned to death for saving Jews, he declared: ”It would be a honor to give my life for God’s chosen people”. To a certain extent this was so, for he died ten days after his arrest, at the age of 84 years. Corrie and her sister Betsie were detained at three different prisons during the following ten months, until they were finally sent to the Ravensbrück concentration camp, near Berlin, in Germany. Betsie, who was 59 years old, died soon after being interned: she could not overcome the conditions to which she had been subjected. The brother, Willem, who was 60 years old, and whose ”crime” had been his cooperation with the resistance, fell ill with tuberculosis while in jail, and died soon after the war was over. One of Corrie’s nephews, Christian, who at the time was 24 years old, was taken to the Bergen Belsen death camp and was also accused of being part of the resistance movement. Nothing was heard of him ever since. In summary, four members of the ten Boom family gave their lives in line with their commitment to save the lives of other human beings. Towards the end of 1944, almost miraculously her name was included in a list of persons that had to be released. She returned to Holland and could recover from the health problems that accosted her since the time she was kept in prison. She spent in her own house in Haarlem the 1ast winter months of the war, but she did not remain inactive. As she would say, ”God gave us love to enable us to pardon our enemies”. Corrie pardoned. She forgave the loss of her dear ones and her own sufferings, which had been inflicted on her while at the concentration camp. And she even went farther. Once, in 1947, in Muenchen, a man wanted to greet her and shake her hand. 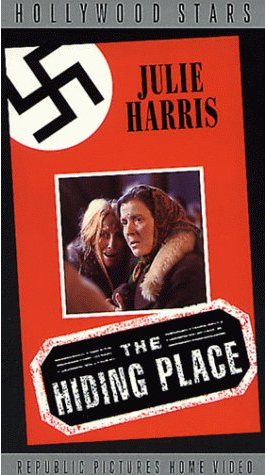 On seeing his face she recognized him immediately as one of the most cruel guardians at Ravensbrück, one of the many before whom she had to march naked together with her sister Betsie when, in accordance with the special criteria set up by the Nazis, they latter selected those who were still useful among those who did not serve any more. How could she shake this man’s hands? He told her that he had Converted to Christianity after the war and that he believed that God had forgiven him for all the evil he had done at the concentration camp, but that he needed that she personally told him that she forgave him. Carrie did so and shook hands with him. And as it was evident that she had much more to give, she founded in Bloemendal a convalescents’ house destined to the healing and relax of survivors. She felt that her life was a gift of God and that she needed to share with others what she and her sister Betsie had learnt at the concentration camp: ”There is no pain so deep that God’s love cannot reach if”. When she was 53 years old Carrie started a worldwide ministry to spread her faith and her experience, for which reason she traveled to over 60 different countries in the following 33 years of her life. 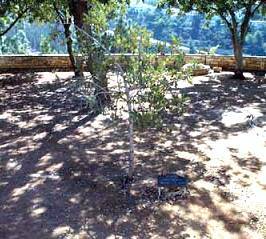 In 1968 the Jerusalem Museum of the Holocaust (Yad Vashem) asked her to plant a tree to honor the memory of the many Jewish lives that she and her sister had saved. She did so, and the tree is still growing there. A film was also shot in 1975, based on her history. As was mentioned before, Carrie was a woman that had faith in God. In 1978 she suffered a cerebral-vascular stroke that left her paralyzed. She passed away on April 15, 1983, on her 91st birthday. It is most remarkable that she should have left this world on that particular date. In accordance with Jewish tradition, only those persons specially blessed by God are granted the privilege of dying on the same date of their birthday. 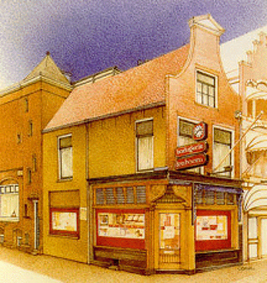 The building located at Nr 19, Barteljorisstraat, in Haar1em, did not change much since the 4O’s. Nowadays it is easier and faster to reach it, since it is located at only 15 minutes’ by train from Amsterdam. 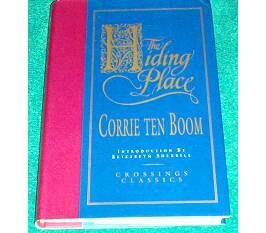 The Corrie ten Boom Foundation bought it in 1987, and the following year opened it for the public converted into a museum, since it is a site of great historic value and a source of inspiration for the faithful. The museum shows the rooms of the house with their furniture, objects and family portraits; the ”refuge” and a permanent exhibit of the Dutch Resistance Movement. In actual fact, the house became again an ”open door house” for everybody as conceived by the ten Boom family in accordance with their principles and their faith, since admittance is free. And to keep tradition unchanged and going, a watchmaker’s shop is still functioning on the ground floor. 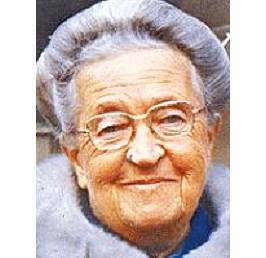 Corrie ten Boom history is nothing more (and nothing less) than the life story of a common woman who accomplished extraordinary things. A woman who even today, through her magnificent deeds, helps us to awake and stay away from the negation and indifference that many of us feel when confronted with the things that happen in the world.